Election results around the region were certified Tuesday but Seattle City Council District 1 candidates Lisa Herbold and Shannon Braddock are headed for a hand recount that won’t start until Dec. 3. Election results around the region were certified Tuesday, but there won’t be an official winner in the Seattle City Council’s District 1 race until Dec. 7 at the earliest. That’s when a hand recount will be complete, King County Elections officials said. The District 1 contest wrapped up with Lisa Herbold beating Shannon Braddock by just 39 votes — less than 0.2 percent. For local races in Washington, a hand recount is mandatory when candidates are separated by fewer than 150 votes and less than 0.25 percent. The recount will begin Dec. 3, officials said Tuesday. Herbold, an aide to outgoing City Councilmember Nick Licata, finished with 12,459 votes. Braddock, chief of staff to Metropolitan King County Councilmember Joe McDermott, D-Seattle, garnered 12,420. There were 164 write-in votes counted. District 1 includes West Seattle, Delridge and South Park. Seattle moved to voting by geographic district for seven of nine council seats this year. Two seats remain citywide positions. The Position 9 winner, Lorena González, was sworn in Tuesday. She took office immediately after the results were certified in order to replace temporary Councilmember John Okamoto, who was appointed in April after Councilmember Sally Clark resigned. His appointment ended as soon as González’ win became official. González is the council’s first-ever Latina or Latino member. The other eight council members won’t take their oaths of office until Jan. 4. District 5 Councilmember-elect Debora Juarez also has Hispanic heritage. 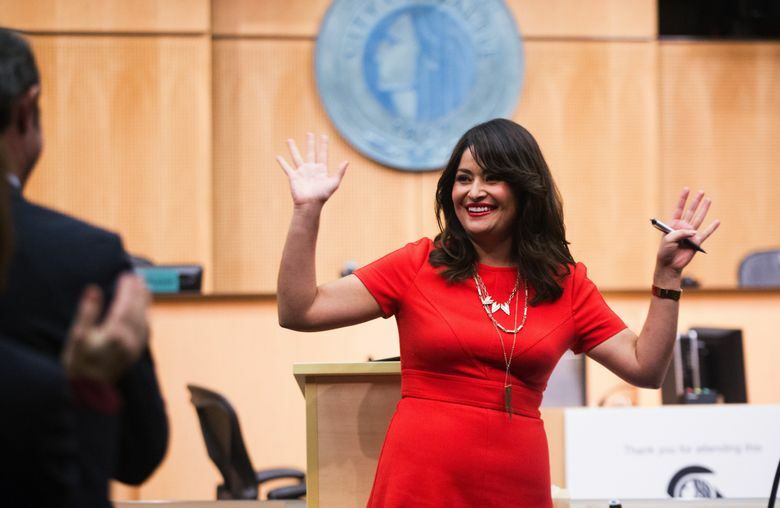 The new council will include González, current members Bruce Harrell, Kshama Sawant, Mike O’Brien, Sally Bagshaw and Tim Burgess, plus first-time members Juarez and Rob Johnson and the District 1 winner. Seattle’s District 1 isn’t the only contest in the area going to a recount. The Lynnwood City Council’s Position 5 race, in which 19 votes separate candidates Benjamin Goodwin and Chris Frizzell, will undergo a machine recount.